Bloomberg is reporting that “two people familiar with the project” say Apple may license its AirPlay technology to allow streaming content from iOS devices to TVs. As it currently stands, AirPlay is only able to stream audio to select non-Apple devices, but the anonymous sources are suggesting it’s interested in developing the technology to include video. TVs with full AirPlay compatibility could even be coming as soon as this year. The report claims that “companies pay Apple $4 for each device sold that carries AirPlay,” and the current agreement provides that video is not included. 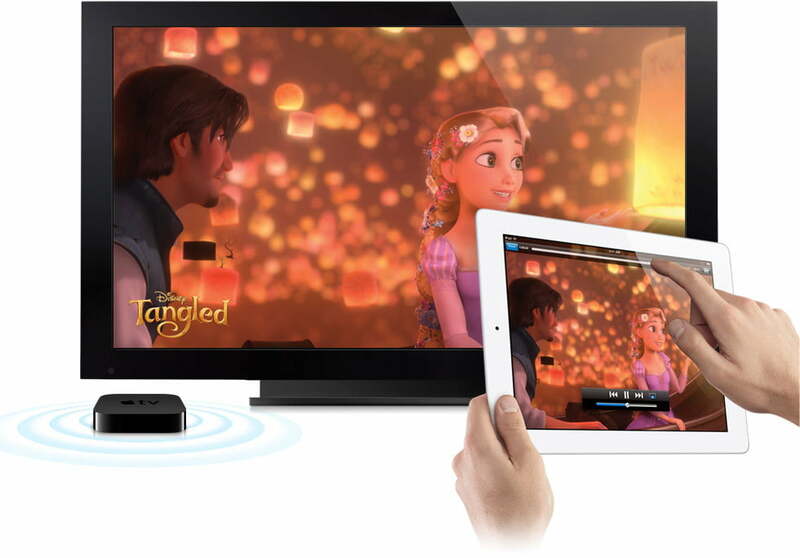 AirPlay currently can stream any media to an Apple TV system, meaning anything bought via iTunes or self-created content (photos, home movies, etc). To any other television set, it’s audio only. Seeing as the connected box top from Apple has had only mild success compared to rival Internet TVs, it makes sense that a company used to outrageous triumphs in the electronics arena is investigating ways to seriously challenge competitors. Apple could sell more iPads, iPhones, and iPod touches if it allowed outside electronics manufacturers to sync with AirPlay. Not to mention the fact that it could increase iTunes sales. The digital media library doesn’t necessarily need the help, but with competitors threatening to come out of the woodwork it certainly couldn’t hurt Apple hold on the market. Of course, it would also rake in more money off licensing fees on manufacturers that want to include AirPlay A/V technology in their TVs. Of course, this would be a somewhat unprecedented move for Apple, which doesn’t look to kindly on licensing its technology to outside developers – it’s a truly in-house company. But AirPlay was an exception before, and maybe allowing manufacturers to use it for audio was just the first step. Video could be next. And now is certainly the time: Consumers are jumping on board with connected TVs and streaming content, and content providers would be wise to act quickly and rope in loyal customers early on. Our question is, what manufacturers would Apple be collaborating with (at least initially) on this project? Many of the companies already licensing AirPlay technology, like Pioneer, Marantz and iHome, have no presence in the TV world. Many TV manufacturers (like Sony) already have competing streaming video products. Who’s Apple’s ideal partner?